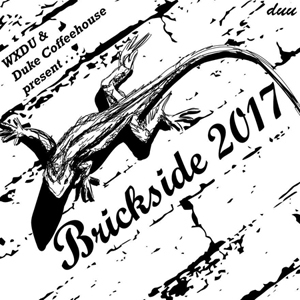 Presented by both the Duke Coffeehouse and WXDU, Brickside is DUU’s annual student-run music festival. This is an all day music and entertainment event with local vendors and food trucks. The music portion of the festival will be held inside the Coffeehouse with limited capacity, while the rest of the festival will be outside and free to the public. Aside from the food trucks and the local vendors, there will be a screen printing work station set up during the break period for everyone to print their very own t-shirts! Musical lineup includes: Paint Fumes, Via App, Sarah Louise, MAKE, Just the Right Height, Aevangelist, Open Mike Eagle, and Shlohmo. Music is scheduled to start at 2p and last late into the night, with a break period from 6p-8p. Headliner Shlohmo will be performing a DJ set at the end of the festival, bringing the West Coast beat scene to the Coffeehouse for an unforgettable dance party.